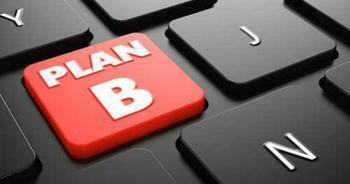 There are several advantages that come with being prepared and having a backup plan. Those who take the time to consider alternatives are often less anxious about the future and more ready to make changes if something unfortunate does happen. However, two researchers, from the University of Wisconsin-Madison and University of Pennsylvania, respectively, say that there are drawbacks to making a backup plan. Their study shows that those who make them are more likely to put less effort into a given task and fail at achieving a goal. Jihae Shin and Katherine L. Milkman conducted this study after the former admitted that she had reservations when it came to making backup plans. “I was talking with Katy about how sometimes I was hesitant to make a backup plan, because somehow I thought it might hurt my chances of success in my primary goal. Katy thought it was an interesting idea and we decided to test it,” said Shin. The pair devised a series of experiments to see if the notion held any water. Participants in the study were asked to complete a sentence-unscrambling task with the promise that they could earn a free snack or a chance to leave the study early if they completed it. Shin and Milkman asked some of the study groups to come up with other ways that they could get free food or make up the lost time later if they failed. After completing the task, the researchers found that those who were asked to make backup plans did worse on the assigned task and had lower levels of desire when it came to succeeding. Shin and Milkman admit that having a backup plan can be beneficial in many ways, but they say that taking time to make one also comes at a cost in some cases. They conclude by saying that knowing when to make a backup plan can make all the difference when it comes to succeeding at a given task. If a certain task cannot be influenced by effort, they say that making a backup plan can be a good idea; however, tasks that require more effort should be focused on instead of relying on a failsafe. “You might want to wait until you have done everything you can to achieve your primary goal first,” said Shin. The full study has been published in Organizational Behavior and Human Decision Processes.